A bookmark for the start of something new! 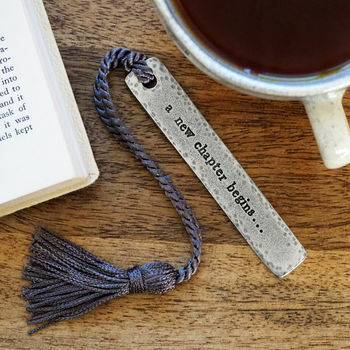 Mark the start of a new chapter such as a graduation, exciting new job or the start of a happy retirement with this pewter bookmark, stamped with the phrase 'a new chapter begins …’ and finished with a twisted tassel cord. Perfect for popping inside a favourite nighttime read or trusty textbook. 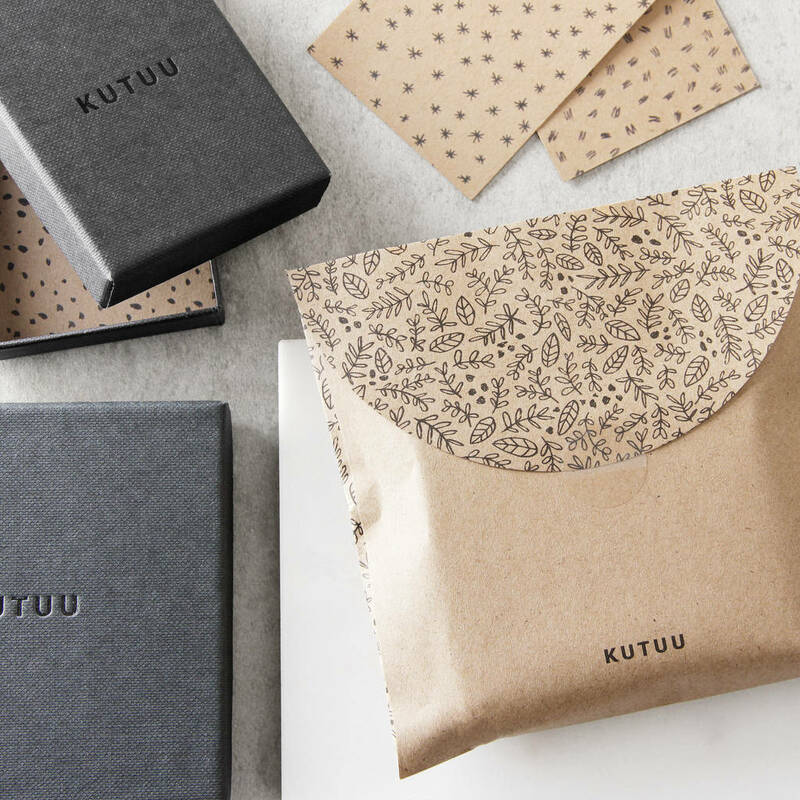 The keepsake bookmark arrives inside a Kutuu gift box and printed paper gift pouch. 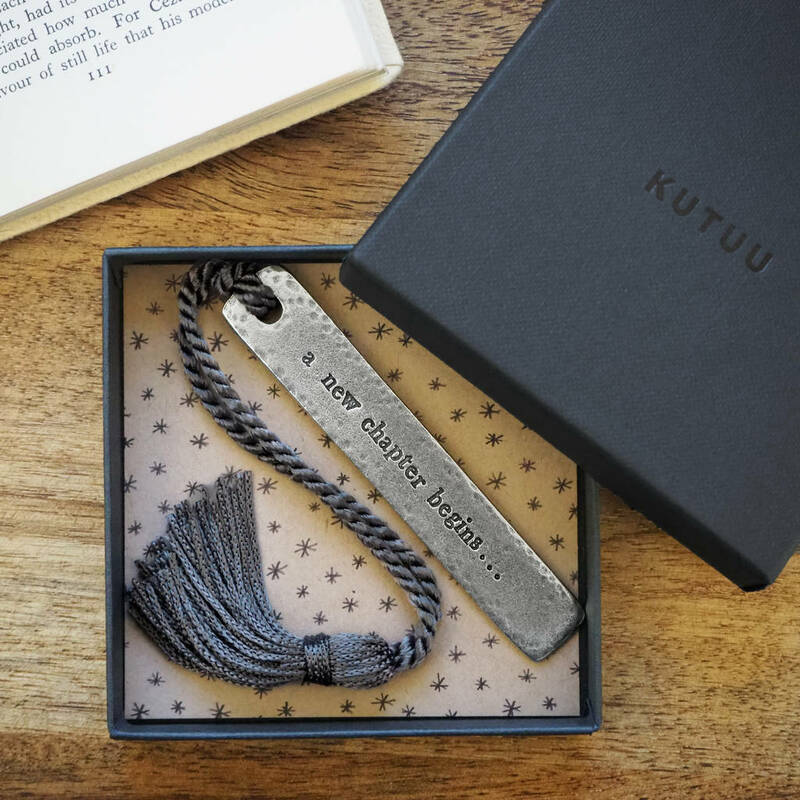 The bookmark measures 9x1.5cm and the cord and tassel measures 16cm from top of the bookmark.